My Dream Canvas: Hello Monday and a Beautiful Giveaway!!! Hello Monday and a Beautiful Giveaway!!! 1. Become a follower of my blog on my sidebar and leave me a comment. 2. If you are already a follower, then just leave me a comment. 3. Announce this giveaway on your blog if you like and let me know in another comment. If you don't have a blog, please leave your email address in your comment. This Giveaway is open to everyone!! I shall pick the winner on Sunday Aug 15th. Joanna will then ship the lucky winner the earrings from Australia! Thanks again and Good luck!! Don't forget to stop by Joanna's Etsy store for some incredibly pretty jewelry. Such beautiful work! Joanna, my daughter shares your name, as well as your love for jewellry:)...Lovely find, Anu! would love winning those gorgeous earrings!! Hi anu, I've been a silent follower for over an year now!! :) what a fab giveaway. These are beautiful and I love these colors. I am a follower of yours. Anu I shall post on my sidebar about your giveaway. It will be under my sweet little giveaway girl. Love your blog! I think that the jewelry piece is beautiful! I would love to join this Give Away, what a gorgeous earrings, just beautiful and ofcourse I will mention your Give away on my blog! Wow, what gorgeous earrings. Joanna's description of her love for jewelry and what a gift of jewelry signifies is beautiful! I became a follower. Oh, I forgot to mention that I am going to post a link to here from my Facebook page. My friends love jewelry and giveaways! Thank you for your lovely comments on my page. I just had a quick scan of the beautiful pictures of your home and I'm jealous... I'll sit down with my cup of tea later and give your blog the attention it deserves! Meanwhile, I'll get back to the kiddies! 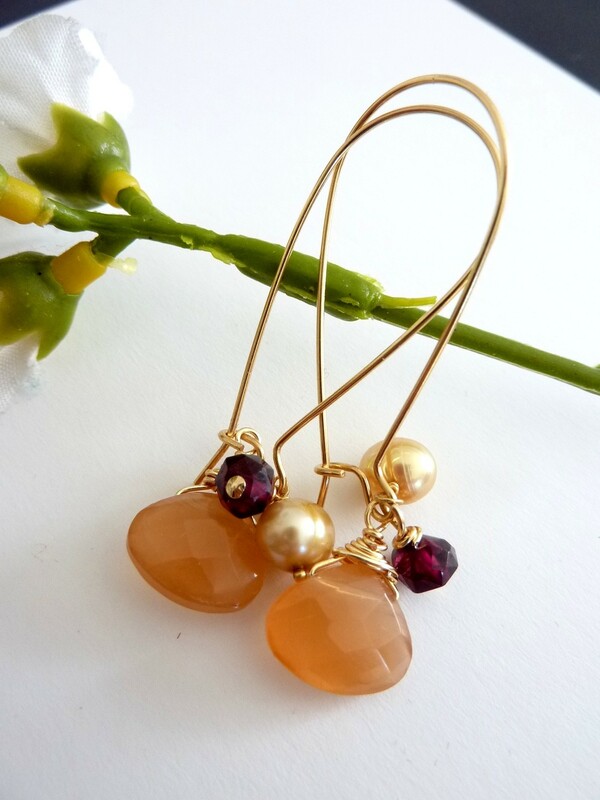 I would love to participate in your giveaway- the earrings are so pretty. I have become a follower. Thank you so much and have a wonderful week. You say giveaway and I run! I'0m a follower f your beautiful blog! Have a wondeful rest of summer! ,,,Thanks for dropping by!...i would love to be a follower!...And Garnet is my birthstone!...now off I go to see more of Joannes jewels! Thanks for commenting on my blog...as you could tell I am new to this whole world of blogging:o) I have added myself as a follower and love your site and the beautiful earings. I will definitely mention this on my site and may the best blogger win!! What a beautiful Giveaway! !..love it!! Hi Anu, have just post your giveaway http://luvdecorating.blogspot.com/2010/08/lovely-giveaway-from-dream-canvas.html, I also a new follower of your blog now. 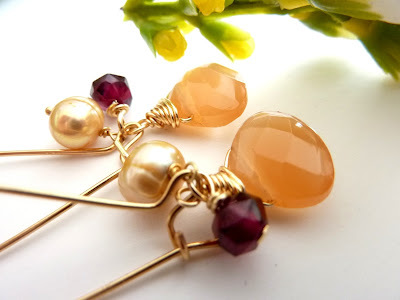 Thank you so much for visting my blog and let me know about the earrings giveaway. 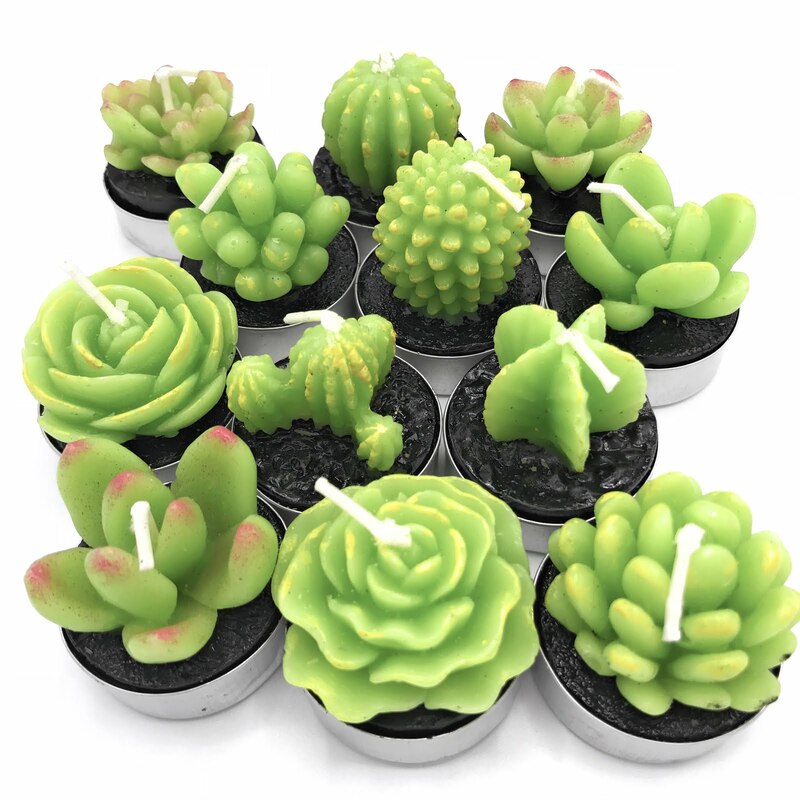 I have never entered a giveaway before, this is my first time and hope I can win. You have a lovely blog, and keep in touch. hi anu,beautiful blog... love the shots. Joanna, great work! !pretty earrings for a give away. beautiful earrings! and a very talented lady! Beautiful blog Anu, very inspirational...Actually your house looks very peaceful..
lovely blog and beautiful earrings! what a wonderful giveaway - those beautiful handmade earrings from Australia! count me in of course! Thank you for your sweet comment and for stopping by!! I am definitely a new follower now! Have a great week! thanks for stopping by..would love a chance to win the earrings....your newest follower! Already a follower.. Would like to try my luck.. These earrings are beautiful. Count me in. I will post about the giveaway on my blog and on facebook! I am joining as a follower. I am glad I found YOU! Thank you for stopping by, looks like terrific here! Thanks for visiting my blog and informing me about this. I'm taking your button to my side bar.. Wonderful giveaway! I just became a follower. Wow...I love your blog and style!! Now for your nice note about the jewelery shown above...Joanna's design is so serene and beautiful..I love Etsy..I shop often on that site from various skilled and talented designers with some really unique pieces...and I already sent my friends the link to this site to check out both your site and Joanna's work. I must say that this is a nice way to introduce and encourage a friend's work. I do like your smooth outreach here..
Good luck to you and Joanna! Thanks for stopping by. You have a beautiful blog and I will definitely check out Etsy. What a beautiful pair of earrings! Just became a follower. Yay! Thanks for finding my blog and inviting me to partake in this fabulous giveaway!! I am now a follower :) Pick me!! Hello. Anu. I posted about your giveaway at my blog and at my facebook page! How beautiful! I love hand made jewelry...it's just about all I wear! These are gorgeous! I'm off to look at her Etsy shop! Hey I am a follower..... and how can I pass up the chance to win these gorgeous earrings in a GIVEAWAY THAT INCLUDES US HERE IN INDIA!!!! YAY! Lovely delicate stuff! And the color of those burnished stones is just beautiful! Thanks so much for visiting me and telling me about your fabulous giveaway! I'm anxious to check out your blog. Thanks for the comments on my blog. Your blog is beautiful and so are these earrings. I am not a follower as well! Thanks! Anu thanks for stopping by and inviting me to your blog. I love the jewellery giveaway and I would love to have my name entered! I am now a follower and look forward to reading your blog. Thanks for inviting me to participate in your giveaway. Love those earrings. I'd become a follower without the prize, love the blog ! Thanks for the opportunity to win these lovely earrings!! hello from pdx, oregon.Love your blog. Been reading for couple of months. Love your style and taste. Looking at the lovely pictures you post brings such joy. I am a new follower! Would love to win!